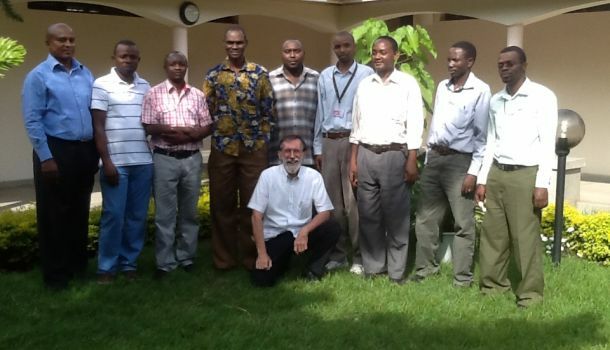 From November 19th – 29th, 2012, KIITEC hosted it's inaugural Open Door Days in Arusha, Tanzania. Hosted by KIITEC’s partners, Schneider Electric, FTE, ADEI and Power Technics the event was organized to share good practices and encourage a practical, relevant and high-quality learning experience to students interested in developing a career in the technical field. With over 100 participants, the Open Door Days event was deemed a great success! Participants included volunteers from France and Switzerland, local Tanzanian companies and universities and local government representatives. Automation & Electricity experts from Schneider Electric France provided the training courses, passing on key skills to local trainers. With approximately 10 participants for each training course, the focus was on: 1) Industrial Networks & Communication; 2) HMI & Vijeo Designer Software; 3) ID Spec & ECODIAL Electrical Designing Software. Additionally, KIITEC teachers conducted a Speed Training course with a 75% focus on practical learning. A special VIP Day concluded the event with a day full of workshops and conferences organized by Schneider Electric France. Conference topics included (a) Choosing Solar Energy (b) Overview on Industrial Networks (c) Selecting the Best Automation Architecture for Your Application (d) HMI Vijeo Designer Software (e) ID Spec & ECODIAL Electrical Designing Software (f) Automation & Energy Management. With technical experts present from different corners of the world, the event helped play a role in bringing to attention the value that high quality technical education has on local populations and industries as well as pass on critical skills to the local educators to be used in the classroom to help future generations. Building on this year’s success, plans have already begun for next year!